For young animals depending on maternal care for survival, the loss of parents often leads to serious consequences and even death. The effect of the loss of parents among animals that could, in principle, survive without maternal care has now been researched by scientists at Johannes Gutenberg University Mainz (JGU) using the example of the earwig - with surprising results. 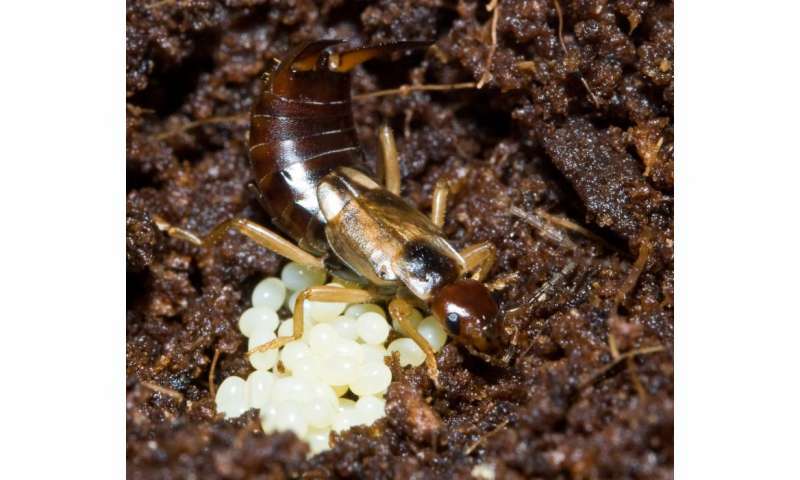 Contrary to expectations, earwigs raised without mothers became even larger as mature adults compared to those that were raised by their mothers. But when they produced their own offspring, they were less liable to care for them. Astonishingly, the loss of the mother had transgenerational effects which became apparent in the characteristics of the offspring of the orphaned animals. In other words, the loss of the mother in the case of earwigs was associated with a short-term advantage but with long-term cost. Observing and investigating earwigs is enabling scientists to study how social behavior and family life have evolved. This newly completed study was published in the journal Proceedings of the Royal Society B. Family life is a widespread phenomenon in nature that normally provides offspring with a significant survival advantage. However, the long-term and transgenerational benefits of this have been studied so far only among juvenile vertebrates that are barely able to feed themselves and therefore very dependent on parental care. Research on invertebrates that can care for themselves early on and which need only facultative parental care can provide important insights that will help us understand the evolutionary development of family life. 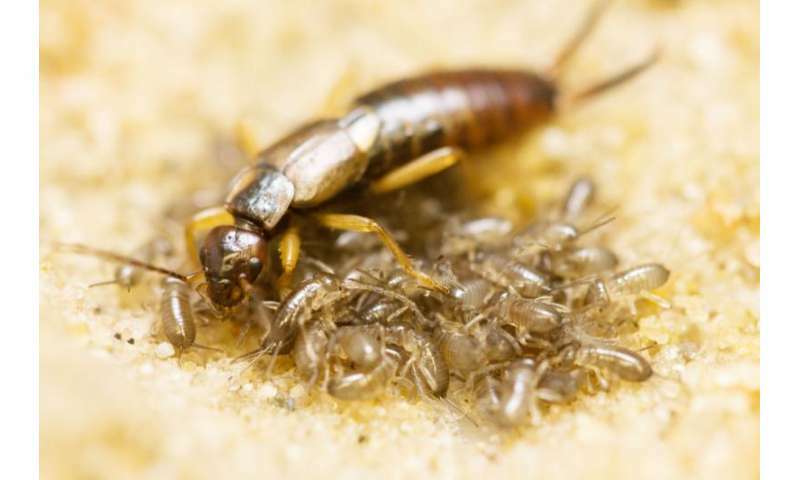 In terms of the direct, short-term consequences of a lack of maternal care, researchers at the Institute of Zoology at Mainz University did not detect any effect on the developmental cycle and survival rate of the juvenile European earwig (Forficula auricularia). "Surprisingly, the offspring even had larger bodies and longer forceps on their abdomens. Under our laboratory conditions, the loss of the mother turned out to have positive rather than the negative repercussions that we are familiar with in the case of mammals and that we also expected to see in the case of the earwigs," explained Jos Kramer of the Department of Evolutionary Biology at JGU's Institute of Zoology, one of the primary authors of the study. In the long term, however, earwigs that grow up without mothers turned out to exhibit a lower degree of parental care themselves. "They generally care for their offspring less well, feed them less, and defend them less effectively," said Julia Thesing of the Institute of Zoology at JGU, also a primary author of the publication. This kind of aftereffect of a lack of maternal care has only previously been observed among vertebrates and this is the first time it has been demonstrated for invertebrates. The researchers had to use a complex sequence of experiments in order to be able to investigate the longer-term, transgenerational effects of a lack of brood care. In the end, this revealed that the attributes of the offspring raised without mothers were affected. For example, foster mothers defended juveniles of orphaned females less well than the offspring of animals that had themselves been exposed to brood care. The long-term and transgenerational effects are thus significantly more negative than the direct effects of a lack of maternal care. "It was previously assumed that the ramifications associated with brood care were not inherited, but now we see that there is, in fact, a - possibly epigenetic - transfer," concluded Kramer. This seems to make it clear that transgenerational effects played a central role in the early development of family life. Earwigs are particularly suitable for such investigations because they have a simple and facultative family life and are thus at the point of crossover between solitary and family-oriented structures. Dr. Joël Meunier's work group in the Department of Evolutionary Biology is playing a prominent role in this research sector. Is blood supply distinctive or collateral per organ? Burying beetles: Could being a good father send you to an early grave?